Home to the Beaumont Civic Ballet, the Beaumont Civic Opera, Symphony of Southeast Texas and the Beaumont Ballet Theater, the Julie Rogers Theatre is a magnificent historic building accented with continental seating, exquisite chandeliers and twin grand staircases. DescriptionHome to the Symphony of Southeast Texas, the Julie Rogers Theatre has a seating capacity of 1,651 with 1,241 seats downstairs and 410 upstairs, 36 of which are wheelchair accessible. Concerts, theatrical productions, dance presentations, lectures and large meetings are equally well-served by the Julie. As an added bonus, the historic building is amusement-tax exempt. Continental seating affords every member of the audience an excellent view of the stage with no space-wasting center aisle. The downstairs seating capacity is 1,241 with seating for an additional 410 persons upstairs. A fully rigged stage boasts a magnificent fifty foot proscenium, a hydraulic orchestra pit, and a complete state-of-the-art sound and lighting system. Along with a nine foot Baldwin grand piano, the venue includes well-appointed chorus and private dressing rooms. Sparkling chandeliers light the lobby area, which is graced by twin grand staircases and two comfortable cocktail service and lounging areas. The spacious foyer provides an elegant entry and conveniently located box office for efficient ticketing and admission. The Julie Rogers Theatre is located adjacent to the Beaumont Civic Center which allows for additional meeting space for conventions and large corporate seminars. 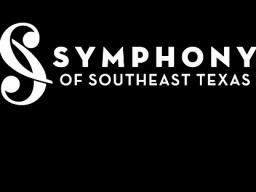 The Symphony of Southeast Texas "The Titans of the Classics: Beethoven and Shostakovich"
The Symphony of Southeast Texas "The Piano Man Meets the Rocket Man"
The Symphony of Southeast Texas "A Celebration of Mozart, Rossini and SOST!"